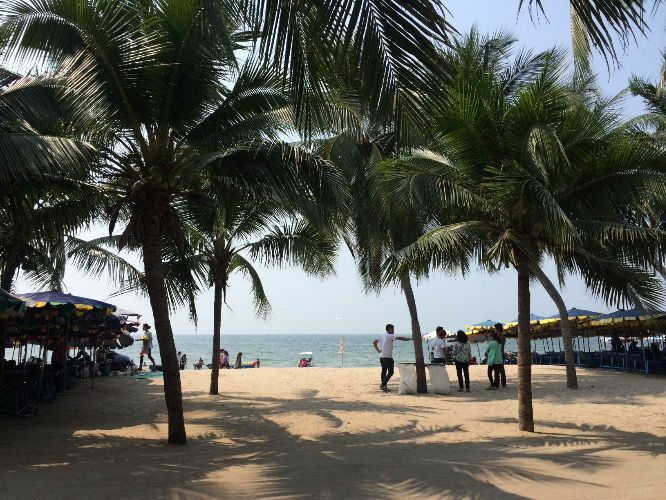 HomeChonburiDiscover Beach Side Fun in Bang Saen! Local seafood restaurant | Swimming and relaxing on the beach | Have a Thai body massage | Have dinner at Street food close to the beach | Hangout at the local nightclub. Arrive at Bansaen city, swimming, sunbathing and relaxing at Bangsaen beach. Go to Nong Mon market, a local dry seafood and Steamed Bamboo rice market. Have a Thai body massage at a Pat Massage. Having dinner at a street food kiosk. After dinner, move to a lacal nightclub named Mouth to Mouth. You will find a very nice people food and place , a cheaper food and very peachfull city. Bangsaen beach was once on popular destination but with the eclipse by Pattaya, it has become the destination local rather than foreigners. Local dry seafood , vendors along pavement and brown sand beach will make you feel different. It's very fresh for foreigners, so you will find a real- real local lifestyle and activities.